Acupuncture is the ancient art and refined science of employing filiform needles to inspire health and optimal functioning within the human organism. It is one of many tools utilized in the system of Chinese Medicine alongside gua sha, moxibustion, cupping, herbal medicine, manual therapies, meditation, movement practices and lifestyle coaching. These tools are used to address imbalances within the mind, body, spirt complex as well as catalyze greater capacity for resiliency and purposeful living. The placement and methods of using needles therapeutically has evolved over centuries through different regions and cultures in the east, spawning a rich spectrum of approaches. Our practitioners primarily practice a gentle but powerful form of Japanese meridian therapy, in which smaller needles are used with very shallow insertion or with contact needling that does not pierce the skin. This approach is supported and enhanced through hands on healing and may also be accompanied by other acupuncture and hands on methods outside of the Japanese system based on individual need. Jonny Nobleza, L.Ac., Dipl. O.M. Jonny Nobleza, L.Ac., Dipl. O.M. is an acupuncturist licensed in the state of California. 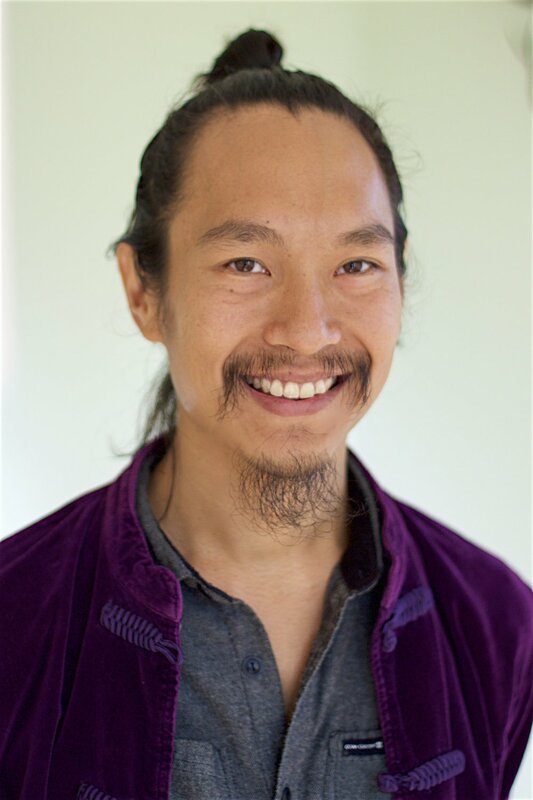 He practices East Asian Medicine, Acupuncture, and Craniosacral Bodywork, and teaches Shadow Yoga. His studies in yoga and consciousness began over 20 years ago as a young teen. He has since trained and taught various forms of healing arts, music, movement, and cultivation practices. His current focus is a continual deepening relationship with the living wisdom traditions of Yoga, Ayurveda, East Asian Medicine, Osteopathic, and Biodynamic Craniosacral Therapy traditions. Jonny’s practice in the healing arts has been influenced and shaped by select teachers, mentors, family, friends, and colleagues who have naturally led through example by their unwavering devotion to their hearts, art, and craft. With gratitude to his teachers, Jonny dedicates the practice of medicine to be in service and benefit to all beings. Jonny holds a B.A. in Anthropology and an M.A. in Acupuncture and Oriental Medicine.